Information technology (IT) has become a vital and integral part of every business plan and modern organizations. As we know Information technology (IT) is the application of computers and telecommunications equipment to store, retrieve, transmit and manipulate data,often in the context of a business or other enterprise. By seeing today's role of Information technology we can easily say that with Information technology (IT) field, there is no possibility of developments in any sector or environment. In simple Information technology (IT) is the use of information and communication technologies in the fields of international development, national developments, socioeconomic development and human rights. There are several industries which are related on Information technology and communication services including computer hardware, software's, electronics, internet, e-commerce businesses and computer services. All these sectors go waste if there is any lack in Information technologies. Information technology is used as synonym for computers and computer networks, but it also encompasses other information distribution technologies such as television and telephones. Communication is the process of exchanging ideas, thoughts, views and messages in between two or more persons. But when we talk widely for communication on business level then email is the principal means of communication between employees, suppliers and customers. Email is a electronic mail which delivers our messages instant from one person to other person. Email uses a specific addresses to deliver messages to their recipients. By using email businesses shares their messages, MEMO's, files, attachments, videos, photos etc. with their clients, partners, co-workers, subordinates, employer's, employee's. And these things are done possible because of information technologies as email is also a invention of Information technology (IT). Except email at present Information technology (IT) give us a lots of medias available in market for communications including SMS (short message services), smart phones, telephones, MMS (multimedia message services). Management Information Systems (MIS) enable companies to track their sales data, expenses and productivity levels and help companies to grow their business. The information can be used to track profitability over time, maximize return on investment and identify areas of improvement and make to grow in international markets. Managers can track sales on a daily basis and weekly basis, allowing them to immediately react to lower-than-expected numbers by increasing employee productivity or reducing the cost of an item. Nowadays, Secure IT Asset Disposition companies offer more than risk management. Data management deals with managing different type of data's in companies, school's, colleges, businesses, institutes etc. in more specified manners so when any person needed that data's for use then that can easily be retrieved. And for this type of data management can not be done without Information technologies. As information technologies provide then different types of software's data storing purposes, accounting's etc. Every organizations need to maintain enough stock to meet demand and needs of their businesses without investing more than they require. Inventory management systems track and records the quantity of each item a company maintains, triggering an order of additional stock when the quantities fall below a pre-determined amount or level. And this all happened under information technology development ideas. Now companies are using information technologies to improve their customer relationship management. As CRM deal with the care and interests of their customers and clients, so by using information technologies customer relationship managers serve their clients and customers in more relevant ways by providing instant services via email, phones, SMS communications. Information technology has huge potential to improve how communities and the nation handle natural disasters. The committee that produced the report believes that investments in information technology by state, and local agencies with disaster management responsibilities would improve the exchange of critical information, support better decision making, increase the flexibility of these organizations, and better engage the public in disaster response and recovery departments. 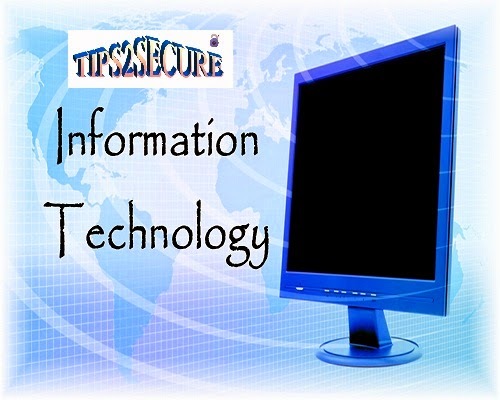 Information technology (IT) is one of the fastest growing recent technology. Various software have been developed for environment and health care which are user friendly and help in better understanding of Environment. Information Technology is used for computer based systems and simulation of environmental scenarios for analysis and predictions about environment. Information technology enables environmental scientists and researchers around the world to communicate, collaborate and coordinate their views and ideas. Information Technology (IT) is used for testing of DNA, creating DNA database and genetic information about population. Medical records and finger prints which are used by investigating agencies to identify missing persons and criminals. IT can be used for audio, visual and data communications for medical consultation, diagnosis, treatment, nursing and medical education.